A dog walking business could be a very lucrative source of extra money and could help you turn your passion for dogs into an income. 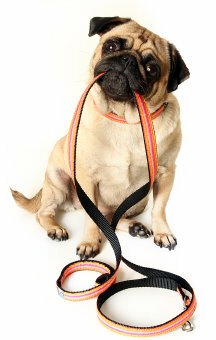 Although it might be a little restrictive to limit your business to just Pugs, that’s always a possibility. Most people are much more open to the breeds that they handle. You can make an argument, however, that you may want to be careful about breeds you will handle. For example, if you are comfortable with the smaller breeds, like a Pug, you may not want to handle the larger dogs like shepherds or St. Bernards. That is entirely up to you. Just like any other venture, starting a dog walking business will take some planning. Most people do not go into this business for the money or because it’s so lucrative. Although you can make some very nice part time or full time money, this is usually not the reason most people start out in this business. Most people who start a dog walking business are looking for a little extra money and have a love for dogs. This simple combination can lead to some exciting things. This is a business that fills a need and can lead to added income. It is quite common for the person who is hired to walk the family to do other things as well such as plant watering, house sitting and running small errands. All of these things can mean extra income through higher fees charged and referrals to other people who need the same services. Our busy society created the opportunity for this type of business. Starting a dog walking business fifty years ago would have met with laughter and ridicule. That is no longer true. In the right area, such as a city or suburb, the person with their own dog walking business can do quite well. The secrets to success are the same as with any service business: offer top quality service for a reasonable price and people will pay gladly. It doesn’t have to be the lowest price but it does have to be quality service or you will find yourself losing clients quickly. There are many dog related add on services that you can provide as well. If you are able to groom a dog well, this is a natural additional service that can be provided. It is even something that can be learned so, if you already have a few dog walking clients, perhaps you should look into what it would take to provide this extra service. The hardest thing in any business is finding new clients. Profitable businesses find a way to increase the value of each customer by offering other services. Learning the art of dog grooming and providing that service might be one way to do that. Practicing on your own dog makes a lot of sense and learning about the peculiarities of each breed will help establish you as an expert. Pugs, for example, have their own unique characteristics and being able to speak knowledgeably about them will be noticed and will lead to referrals quickly. If you really like dogs, dog training might be another service to consider as a supplement to your dog walking business. It takes a while to become an expert dog trainer but the fees that can be charged are much higher than simply walking a dog. The two work very well together, however. Dog training provides a higher paid service but has a limited income stream. Most people are interested only in the basics of training their dog. Dog walking provides that follow up service that can provide steady income but at a lower rate. The nice thing is that these are all decisions you can make after starting your business. You can start as slowly and as small as you like and grow to almost what ever level you’re interested in. You can actually do the marketing and have other people do the dog walking as well! Think of this business as any other service business. Look in the phone book for the ads for carpet cleaners, house cleaners, landscapers or any other home service. Many times the business is something that the owner started on their own and branched out to the point that, when you call to have a service performed, you’re not always getting the person who started the business. It’s just something to keep in mind when you look at merging your passion (Pugs or dogs in general) with the need to make money.